A business property that is weedy and overgrown does not create a good impression. 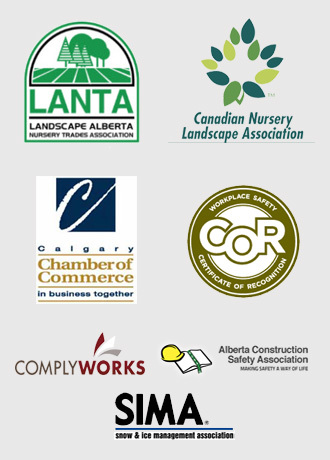 Mirage Landscaping of Calgary is your one stop shop for all of your commercial landscaping needs in any season. From planting, to mowing, to pruning, to leaf pick up, to snow removal, we are the only landscaping contractor you will ever need. 1) Your business has or will expand to include, a half-acre or more of land to maintain. Maintenance requirements of a large property are extensive. Only a professional commercial landscaping service has the necessary manpower and equipment to provide excellent and timely service. 2) You want a fair and stable rate for landscaping services. When you contract with Mirage Landscaping there are no hidden fees, or any other monkey business. 3) You are trying, and failing, to keep up with your property’s landscaping demands on your own. Your time is more valuable than the cost of labours you shouldn’t be doing any longer, and is better spent serving customers, like you want to be doing. 4) You have customers or delivery people visiting your location frequently. When you have customers and other invitees coming and going, it’s important for the place to look nice, but it also has to be safe to visit. You know just how vital it is that your business carry insurance coverage for premises liability. Why risk a claim unnecessarily because you don’t know that a tree has become sick and may soon topple over in the next big chinook? Why risk slip and fall claims because no one at the business could realistically keep the parking lot and walks cleared of ice and snow? 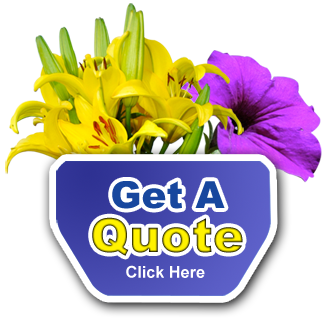 It is far less expensive to hire a fully insured commercial landscaper like Mirage Landscaping than pay increased premiums for decades following even one serious accident. 1) Are you fully and currently licensed by the provincial and city governments to provide all of the services you offer? If you need a retaining wall or a drain installed, we know the permitting process, and when necessary we hire qualified civil engineers to ensure your capital improvements will stand the test of time. 2) Is your company large enough to handle my requirements, and insured? Mirage has the manpower, expertise and coverage you need to feel completely confidant in our services at all times. 3) Can you trim and diagnose problems in trees? Whether the company has the ability to remove or install trees is a good question. If you have a dead tree that needs removal, it is not time for amateur hour. Mirage Landscaping knows a lot about managing trees, and when we don’t know something, we know who to ask. 4) How did you arrive at my quote? 5) Can you also perform my snow removal? Some Calgary winters are easy and others espicially bad. Whether it is a light freezing rain or the snowstorm of the century, Mirage has faced it all on behalf of our clients. Contact us today for your free commercial landscaping quote.